The month of January 1975 was dominated by the return of "The Minnesota Wrecking Crew" to the Mid-Atlantic area. Gene and Ole Anderson resurfaced in Jim Crockett Promotions at the tail end of 1974 after an eight-month hiatus, and immediately made their presence felt as the new year dawned. Johnny Valentine, Paul Jones, Wahoo McDaniel and the Super Destroyer also all had impressive months, but Gene and Ole Anderson stood out in January, as they brought the NWA World Tag Team Titles into the Mid-Atlantic area! 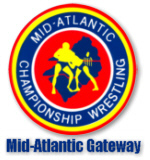 Gene and Ole Anderson hit the ground running upon their return to the Mid-Atlantic area, targeting Mid-Atlantic Tag Team Champions Paul Jones and Tiger Conway, Jr. immediately. These four had some terrific bouts throughout the month, with Jones and Conway holding on to the Mid-Atlantic Tag Team Titles until nearly the end of the month before the Anderson's finally prevailed. However, much bigger news would come about only days later regarding the Anderson Brothers. On the January 29, 1975 television taping from the WRAL Studios in Raleigh, North Carolina, it was announced that Gene and Ole Anderson had competed in and won a tournament in California and were crowned the NWA World Tag Team Champions. The promotion stated that teams including Ray Stevens and Nick Bockwinkle, Eddie and Mike Graham, the Vachon brothers, Terry and Bobby Kay and the Funk brothers all participated in the tournament. Ole Anderson, ever modest, commented saying "could there be any doubt in anyone's mind that we would end up world champions? After all we are the greatest tag team in the history of wrestling. My brother and I know that the fans in this area are happy to have us back, and now that we are wearing the World Title belts, they will be even happier." Despite the majority of fans in Jim Crockett Promotions disliking the Anderson's, there could be no doubt the elation of fans to have the World Tag Team Champs in their own backyard. There were challengers lining up immediately for Gene and Ole. In fact, during the month of January, the formidable duo of Wahoo McDaniel and Sonny King began teaming and were extremely impressive. These two spoke of teaming in the past, and felt their experience together would give them every chance to be successful. And in fact, the team of Wahoo and King would get the first shot at unseating the new champs as the calendar flipped over to February. Mid-Atlantic Heavyweight Champion Johnny "The Champ" Valentine continued to roll on in January of 1975, seemingly unbeatable. On Mid-Atlantic television in January, Johnny continued to put up his 2000 silver dollars frequently, steamrolling the competition. "The Champ" was especially brutal to a very young Kevin Sullivan during a match for his 2000 silver dollars that took place on January 22, 1975 in the Raleigh, NC WRAL studios. Valentine also defended his Mid-Atlantic title often in January, and had a memorable series of title bouts against Paul Jones in Charlotte, North Carolina this month. Jones, the 1974 Wrestler of the Year in the area and the reigning Mid-Atlantic Television Champion, battled valiantly during this series of title bouts but could not wrest the title from Valentine. While Jones and Valentine wrestled periodically during the next several months, these title bouts in January of 1975 represented Jones' best effort to pry the Mid-Atlantic Title from Johnny Valentine. The month of January 1975 was also a successful one for the masked Super Destroyer. The Destroyer was having less interaction with Brute Bernard in January, after having purchased the Brute's contract in late 1974 and becoming almost a "manager" for Bernard. The two began to team infrequently in January, and instead the Super D. turned his attention to the other masked man that was in the area, the masked Avenger. While much smaller than the Destroyer, the Avenger was speedy and possessed a great deal of wrestling ability. The Avenger was on quite a hot streak, and he and the Super Destroyer started their memorable feud in earnest during the month of January to see who was the best masked man in the Mid-Atlantic area. This feud would last though the cold weather months of early 1975, but it was clear in January that this matchup of the masked men would be a significant test for the Super Destroyer. January of 1975 saw some significant movement in the talent roster of Jim Crockett Promotions. Long time mainstay Rip Hawk left the promotion for good at the end of December 1974. Rip's long time partner Swede Hanson stayed in the area, but January marked his slide into mid-card status. Veteran Johnny Weaver was also out of the area on extended leave, and would not return for many months. Tough main eventer Ivan Koloff left the area before the end of January, and would not return to Jim Crockett Promotions for over five years. Chuck O'Connor, a top mid-card performer, also left the area before the end of January and would not reemerge in the area again until late 1978, when he called himself John Studd. Despite these loses the talent-laden roster developed in 1974 remained significantly intact, and the continued rapid development of a young Ric Flair along with the Anderson's coming back on the scene and capturing the NWA World Tag Team Titles in short order, made the month of January 1975 one that would insure that the rest of the year held much promise and excitement. 1. GENE & OLE ANDERSON---The Anderson's dominated all competition in January of 1975, and most importantly won and brought the NWA World Tag Team Titles to the Mid-Atlantic area this month! 2. JOHNNY VALENTINE---"The Champ" held onto his Mid-Atlantic Heavyweight Title, despite some classic battles against top challengers Paul Jones and Wahoo McDaniel. 3. SUPER DESTROYER---The Destroyer was as dominating as ever, and was entering a memorable "Feud of the Masked Men" with the masked Avenger where it was becoming clear that the loser would never be the same when the smoke cleared. 1. SWEDE HANSON---The big Swede's ten-year run as a main event performer for Jim Crockett Promotions had reached its end, and January of 1975 began Swede's gradual but steady fall into mid-card status. 2. CHUCK O'CONNOR---O'Connor had been a solid mid-card wrestler for most of 1974, even headlining a few cards. But in January of 1975, the losses were frequent and O'Connor left the area entirely before the end of the month. 3. IVAN KOLOFF---The "Russian Bear" had a great run in the area for much of 1974, but began to be de-emphasized during January of 1975, and like O'Connor, left the Mid-Atlantic area before the month ended.